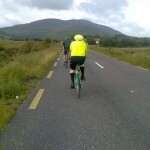 Earlier in the month I completed the Ring of Kerry charity cycle. It was my fourth year doing it. Great weather (as usual), excellent food stops (getting better each year) and I didn’t feel as tired as last year (maybe ageing is good for something). 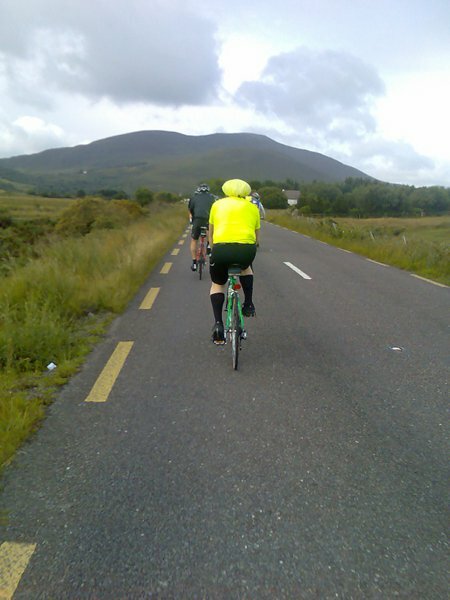 I only took one photo during the cycle. The guy looks like he had a quick shower (but didn’t wash his hair) and then jumped straight onto his bike. It’s cool that his shower cap/helmet is hi-viz. He does lose ‘euro cool‘ marks for the high socks.